Category A CE Credit as designated by the Source for Magnetic Resonance Technologists Education (SMaRT Ed). The SMRT is recognized by the American Registry of Radiologic Technologists (ARRT) as a Recognized Continuing Education Evaluation Mechanism (RCEEM). CPD credit endorsement is through the Australia Institute of Radiology (AIR) CPD Accreditation, the Royal Australian and New Zealand College of Radiologists, the New Zealand Institute of Medical Radiation Technology (NZIMRT) and the College of Radiographers (CPD NOW) United Kingdom. If you need CE/CPD Credit, you must have your attendee name badge scanned upon entering/exiting the session room in order to claim full CE/CPD Credit Hours. If you need to leave the room during the session, you must scan your badge upon exiting, and rescan upon reentering. IMPORTANT: If you need CE Credit, it is very important to have your Name Badge scanned for each entrance and exit to earn full CE Credit Hours. 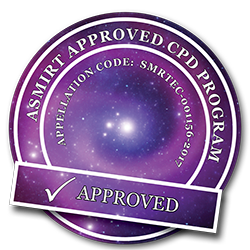 All Evaluation forms for SMRT and ISMRM-SMRT Accredited courses for Technologists/Radiographers will be available for you to complete online. There are NO paper Evaluation forms. Evaluation forms will be available after the close of the meeting and can be accessed via our website at http://www.ismrm.org/smrt/smrted. We will send you notification with complete instructions via email when to go to our website for completion of your evaluations. Once active, log-in to evaluate the sessions you attended and claim your credits. CE/CPD credit claims are not completed until you have finished the meeting evaluations. Your evaluations are very important. The SMRT uses your feedback to guide and plan for our future meetings. Once completed, a certificate will be added to your record to print or download, and stored in your online transcript. As designated by the Source for Magnetic Resonance Technologists Education (SMaRT Ed). The SMRT is recognized by the American Registry of Radiologic Technologists (ARRT) as a Recognized Continuing Education Evaluation Mechanism (RCEEM). 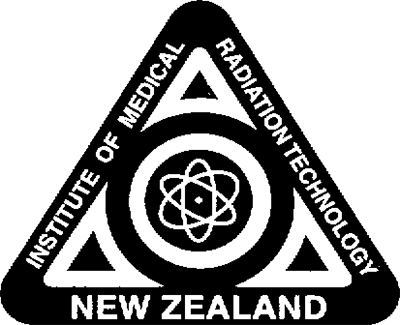 CPD credit endorsement is through the Australia Institute of Radiology (AIR) CPD Accreditation, the New Zealand Institute of Medical Radiation Technology (NZIMRT), The College of Radiographers (CPD NOW) United Kingdom and The Royal Australian and New Zealand College of Radiologists. *These courses are only available with the SMRT 3 day meeting registration. The SMRT Poster Exhibits will be held in Room 321-322, of the Hawai’i Convention Center. SMRT Posters will be on display both Saturday and Sunday during the SMRT Annual Meeting. Many of the SMRT Annual Meeting Posters will be moved to the ISMRM Poster Hall Monday through Thursday. All Meeting Attendees are encouraged to attend the SMRT Annual Business Meeting to be held Saturday, 22 April, 11:50 – 12:10, in Room 323 A-C of the Hawai’i Convention Center. SMRT Policy Board Members will report on SMRT current and future activities of the Society. The SMRT Educational Awards presentation will be held Friday, 21 April, 18:40 in Room 321-322. The recipients of the President’s Award, Proffered Paper Awards, and Poster Awards will be presented at that time. The Non-Educational Awards presentation will be held Sunday, 23 April, 12:05 – 12:20 in Room 323 A-C. The recipients of the SMRT Crues-Kressel Award, Honorary Member Award, and the Fellow of the Society Awards will be presented at that time. The SMRT and ISMRM Annual Meeting Program Committees request your cooperation in observing the following guidelines for etiquette in session rooms. Please respect your colleagues and follow the rules. Standing in meeting rooms during a session is prohibited due to Health, Fire and Safety Regulations. Please be respectful of these strict ordinances and be seated immediately upon entering a meeting room. No exceptions. Videotaping, audio recording or photographing the presentations is strictly prohibited. Mobile phones and pagers and other devices generating sound must be turned off in the session rooms. Attendees using laptop computers, personal digital assistants or other electronic devices generating light must sit in the back half of the room to avoid disturbing fellow attendees. Admission to the Educational Programs, the Scientific Sessions and the Technical Exhibition is restricted to individuals wearing name badges. Please wear your name badge at all times. Children under 16 are not allowed in any meeting sessions, Exhibit Hall, Poster Hall or evening events. No Exceptions!